In what some have described as a new dynasty in University Cup mountain bike racing the Queen’s University Mountain Bike Team raced pedaled their way into history and won the 2013 University Cup - the fourth year in a row. 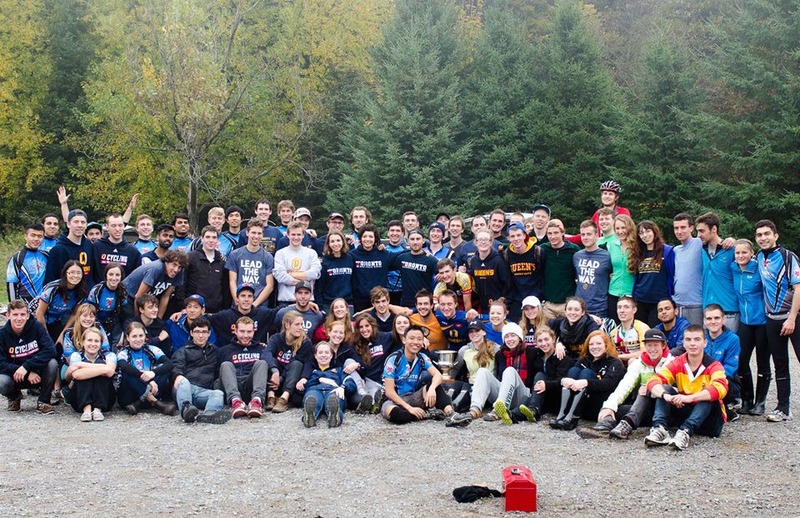 Student athletes from across the province converged on the Ganaraska Forest for the last of the four race University Cup series. Despite calls for heavy rain and thunder storms the wet weather held off and a great day of racing followed. The spirited team from the University of Guelph placed second in the team standings followed in third place by the University of Toronto Mountain Bike Team. The University Cup is a fun race series that focuses on introducing male and female student athletes to the sport of cross country mountain bike racing, as well as providing an opportunity for experienced racers to participate at the varsity level.